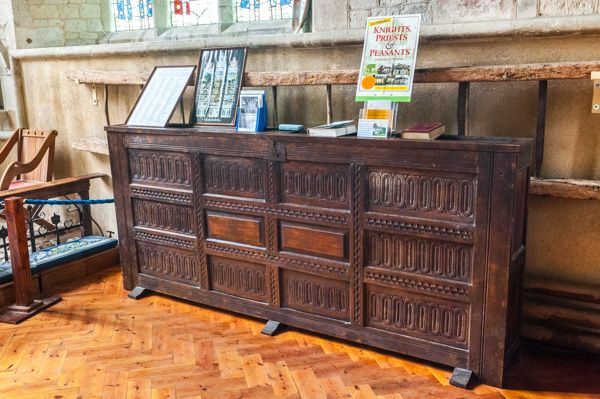 A church with a royal heritage (maybe), St Mary's stands on a rise of ground a short stroll from famed naturalist Gilbert White's house in the pretty Hampshire village of Selborne. The church was built around 1180 on the site of an earlier Saxon building. According to tradition the land where the church stands was granted by Edith, wife of the Saxon king Edward the Confessor in 1049. 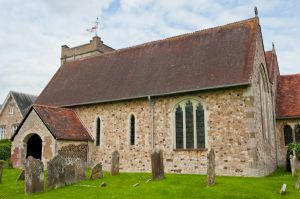 The Domesday Book of 1086 records an existing church, but this was almost completely swept away when the current building was erected in the late 12th century. The 17th-century south porch protects a 13th-century south doorway still supporting its original oak door on huge wrought iron hinges. The nave is a symphony of Norman architecture, with large cylindrical 12th-century pillars topped with simply carved capitals. The base of several pillars are carved with wings. 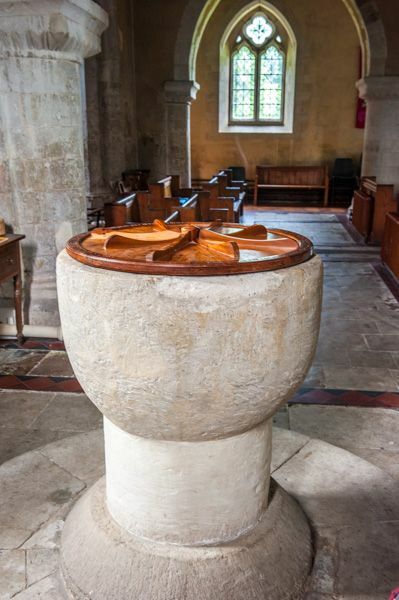 The font is very simple Norman construction, though it may actually predate the Conquest. As attractive as the nave is, most people will come to St Mary's for what lies in the chancel. Here you will find numerous memorials to members of the White family, whose most famous member, naturalist Gilbert White, is commemorated by a wall plaque on the south wall. White is actually buried in the churchyard outside the north wall of the chancel. 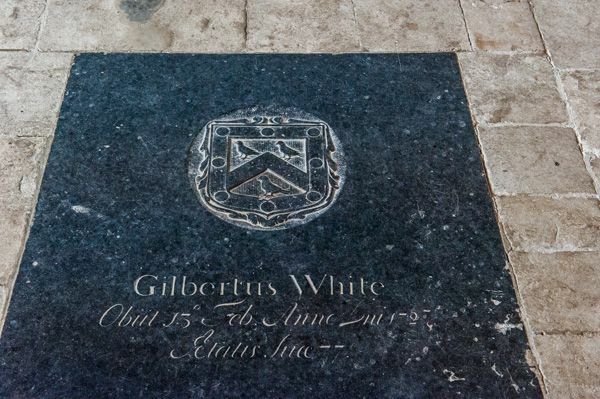 In the centre of the chancel, set into the floor before the altar, is a simple black slab to White's grandfather, also named Gilbert. The elder White served as vicar of St Mary's from 1681-1728. The interior has two further outstanding historic features; above the altar is a triptych painted by Flemish artist Jan Mostaert depicting the Adoration of the Magi, dated to around 1515. The painting was gifted to the church in 1793 by Benjamin White as a memorial to his brother, the naturalist Gilbert White. 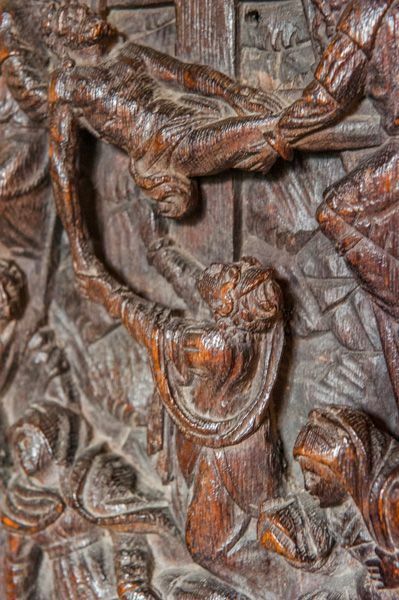 On the wall is a beautifully carved wooden panel showing the Descent from the Cross, also Flemish, from about 1520. The south aisle was enlarged in the 13th century to allow space for a chantry chapel at the east end. There the monks of nearby Selborne Priory said mass for their patroness, Ela Longspee, Countess of Warwick. 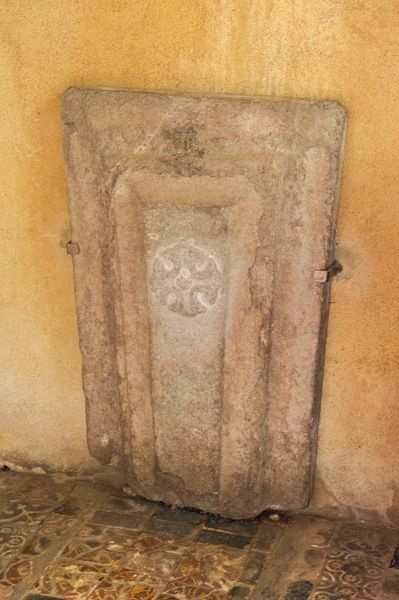 To one side of the altar is a 13th-century piscina, while leaning against the wall are stone coffin lids bearing the insignia of the Knights Templar, a reminder that the Templars held nearby Temple Manor in the 13th century. The floor surrounding this south aisle altar is set with medieval tiles found during excavations of the Selborne Abbey site in 1953. 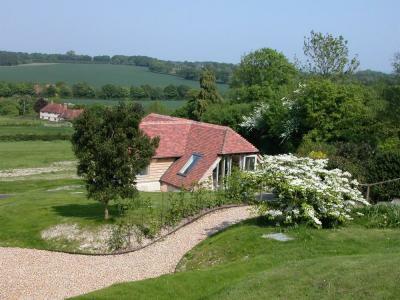 Location: Just above the village green, opposite the Gilbert White museum in the centre of Selborne.